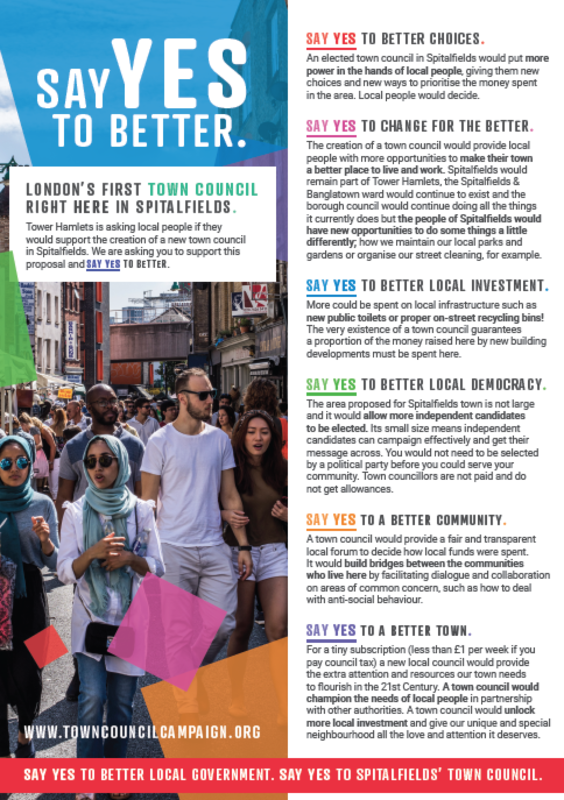 Tower Hamlets is asking local people if they would support the creation of a new town council in Spitalfields. The Spitalfields Society is supporting this endeavour whole heartedly- please help us and support this proposal and SAY YES TO BETTER. TAKING PART IN THIS SURVEY SHOULD ONLY TAKE A FEW MINUTES OF YOUR TIME AND WILL PERMANENTLY CHANGE SPITALFIELDS FOR THE BETTER.